Thinking of joining the team? The best way to find out if the Smelts are right for you is to attend a free trial practice. Complete the online visitor registration form and pack your gym bag. The Smelts are committed to being an accessible team for ALL swimmers. If you are interested in joining the team but have financial limitations, please reach out to the board at info@chicagosmelts.org. All information will be kept confidential. 1. Pay your Chicago Smelts team membership. PLEASE NOTE: registration is currently closed and will begin again on January 1, 2019. You are welcome to swim as a visitor before January 1 by filling out the visitor registration form. You can choose monthly or annual (20% savings) payment. Membership fees are non-refundable. When you register, you will be charged the monthly or annual fee immediately. Thereafter, monthly memberships will automatically renew on the first day of every month and charge your card on file until you notify us in writing you would like to cancel your account. Annual memberships will automatically renew every 12 months on the first day of the month and charge your card on file. For example, if you join on November 15, you will be charged immediately for the current year, and then you will be charged every December 1 until you notify us in writing you would like to cancel your account. 2. Pay your United States Masters Swimming membership. USMS provides our general liability insurance during practices. Every person in the pool at Gill Park and Jones College Prep, including the coaches and lifeguards, needs to be a member of USMS or this liability insurance is voided. 3. Pay the Gill Park Team Sports fee. The Chicago Park District charges a $35 seasonal, somewhat quarterly, fee for "Adult Team Sports." This fee may only be paid in person, not online. You can register/pay in person with cash or credit card at the Gill Park Recreation Center front desk Monday-Friday, 2-8pm. 4. We encourage all swimmers to familiarize themselves with our Swim Practice Etiquette. 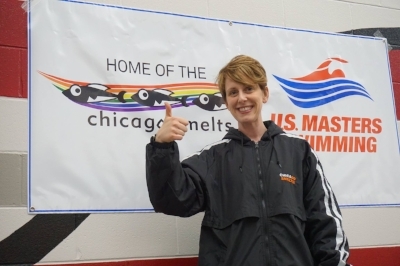 $30 for swimmers who register for USMS meets as a Chicago Smelt, but do not attend our practices. Be sure to join our Facebook group! This is a great way to interact with other members, share swimming-related stories, make plans for social events or swim meets, and stay up-to-date on announcements. It's a closed group, so be sure to request to join and we will approve once your registration is complete.